petition: Demand an end to BSL in Ontario NOW! 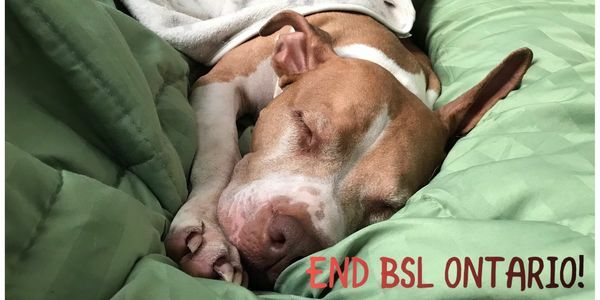 Demand an end to BSL in Ontario NOW! AND: The solution to preventing dog related incidents is best addressed through comprehensive training and education programs, and breed neutral legislation promoting responsible ownership. We the undersigned petition the Legislative Assembly of Ontario to support a Bill repealing breed specific language from the Dog Owner's Liability Act and the Animals for Research Act and instead implement a comprehensive educational prevention strategy that encourages responsible ownership of all breeds. PLEASE ENSURE YOU PUT YOUR REASON FOR SIGNING & YOUR TOWN IN THE COMMENTS FOR YOUR SIGNATURE TO COUNT!! !